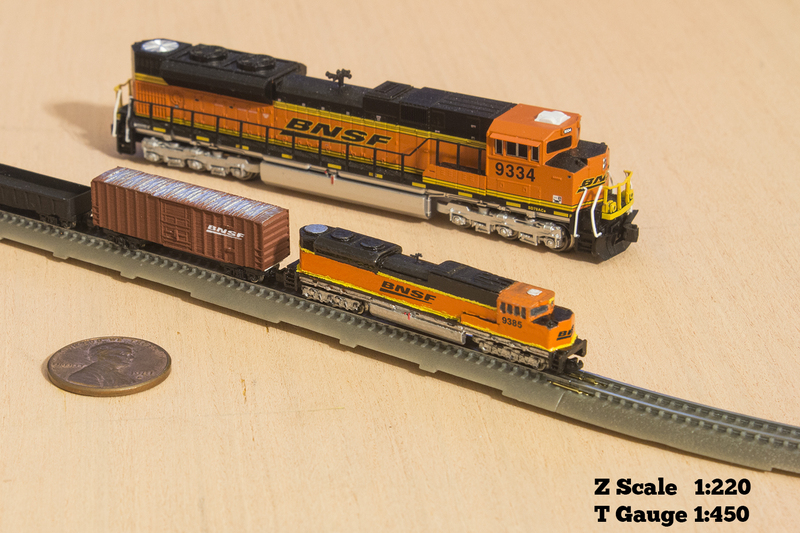 I'm excited to share my latest project, the TGauge SD70ACe. First shells arrived this weekend and far exceeded my expectation! Unfortunately, once the shell is on a motor chassis, it's such a sung fit that it hinders the mechanism. So to fix that, I'm going to be using fully etched brass side walls. In the mean time, I'll use this shell for test painting and as a dummy unit. More to come! Your project looks very nice. 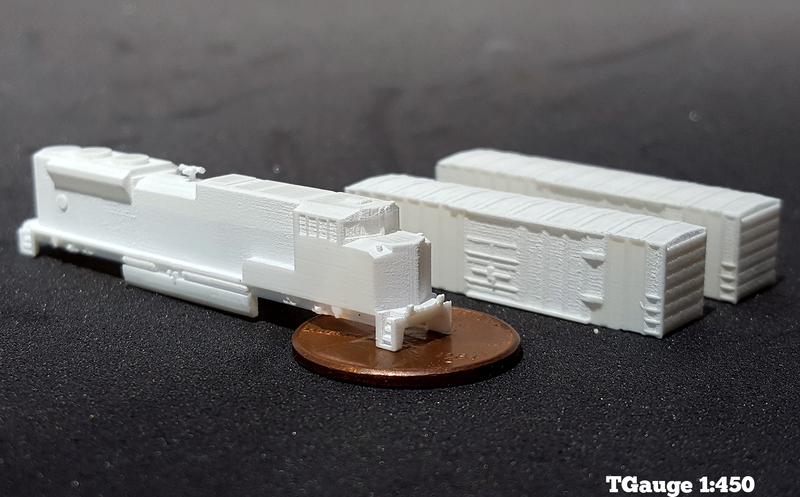 Has it been printed by Shapeways?? Or has it been printed elsewhere? Printed by shapeways in FXD. Going to try etching some handrails tomorrow, then I think I'm calling this one done! Here's the finished ACe with Etched Brass handrails. 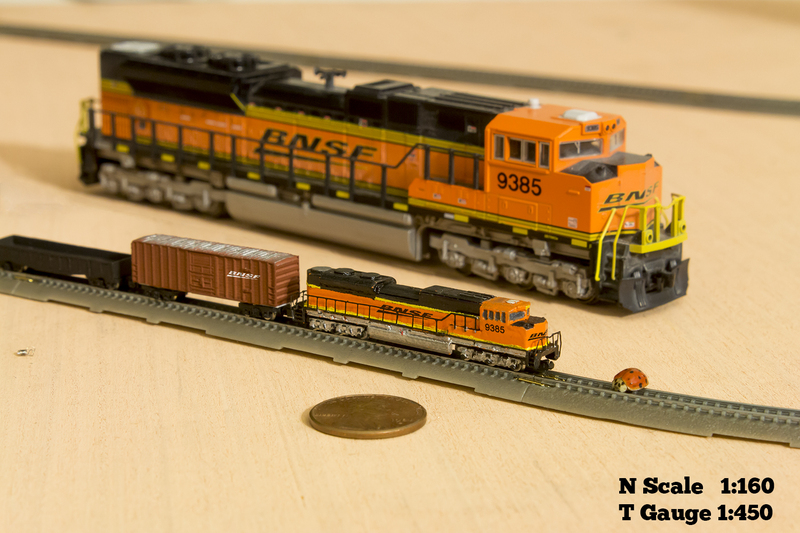 N Scale ACe and Lady Bug for scale. One thing I've noticed is that you have triple axle bogies, which look as they actually have three axles.